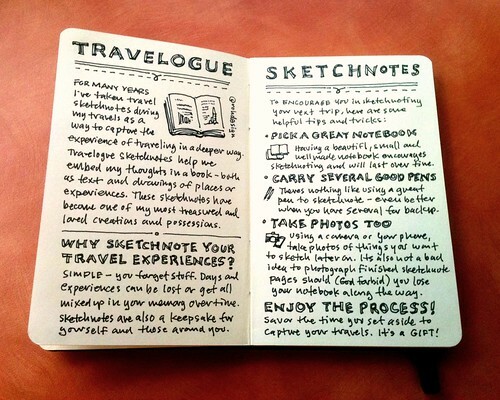 Today I'm honored to have a guest post on creating sketchnotes of travel experiences published on the ImageThink blog. ImageThink is a graphic recording and graphic facilitation firm in New York City, run by Nora Herting and Heather Willems. They specialize in large-scale captures and interactive facilitation of meetings using drawing. Thanks Nora and Heather for the opportunity! Nice idea to make my travel vacations really memorable! I'm really enjoying your blog! Where do you get your sketchbooks? I need something that opens flat like a composition book for my left hand. There are a variety of places to get sketchbooks - I try to use local art stores, though JetPens.com and Amazon have been places I've shopped online.